Register for The Deacon Chuck Dietsch Memorial 5K Run for Haiti today! All runners must be wearing a visible bib number before the start of the race. For safety, we ask that runners please position themselves in the starting gate based on expected pace/finish time. Runners will share the same start gun time. Finish time will be recorded via the B-Tag RFID on the back of your bib as you run over the mat at the finish gate. For safety, follow the directions of the course marshals during the race, and stay on the left hand side of the road unless told otherwise by course marshals. On Main Street South, you must run on the left side of the road - not on the sidewalk. Water will be available around mile 1 on the course. 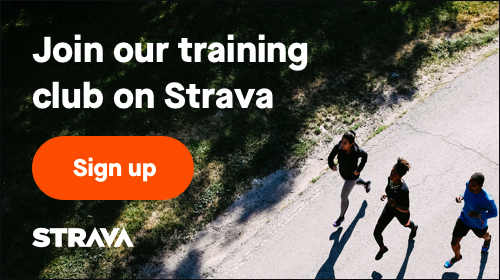 February 3, 2019, 12:30am EST May 14, 2019, 11:59pm EDT $25.00 Race Fee + $2.50 SignUp Fee ? Walkers will line up behind the runners and will start at the same gun time. For safety reasons, strollers and baby joggers will not be permitted on the course. However, babysitting will be available for a suggested $5/child donation. Please follow the directions of the course marshals during the race, and stay on the left hand side of the road unless told otherwise by course marshals. On Main Street South, you must walk on the sidewalk. Water will be available around the 1 mile mark on the course. February 3, 2019, 12:30am EST May 14, 2019, 11:59pm EDT $20.00 Race Fee + $2.50 SignUp Fee ? * Kids 6 and under will run a 100 yard dash from the actual 5K starting line of the race to the actual 5K finish line. * Kids 7 to 12 will run one loop around the church (approximately 1/3 mile). All kids will receive a bib number, finishers ribbon and T-Shirt! February 3, 2019, 12:30am EST May 14, 2019, 11:59pm EDT $10.00 Race Fee + $2.00 SignUp Fee ? Sign up here to volunteer on race day! The race depends on volunteers to make it a success. Volunteer Opportunities exist in several areas: set up, water stations, course safety, registration/check in, parking, babysitting and clean up. Please email racedirector@hoofitforhaiti.org for more information.